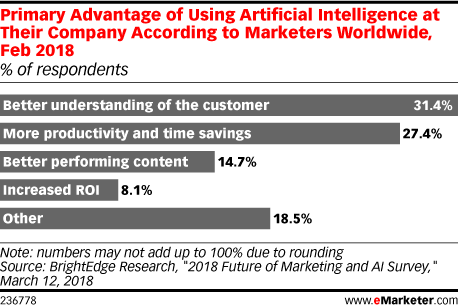 Data is from the March 2018 BrightEdge Research "2018 Future of Marketing and AI Survey." Over 500 content, digital and search marketers worldwide were surveyed via SurveyMonkey during February 2018. BrightEdge is an enterprise SEO and content performance marketing company.